This topic describes each Active Technologies class that is available for styling part of an Active Technologies report or dashboard. It contains an example of the implementation of each class. 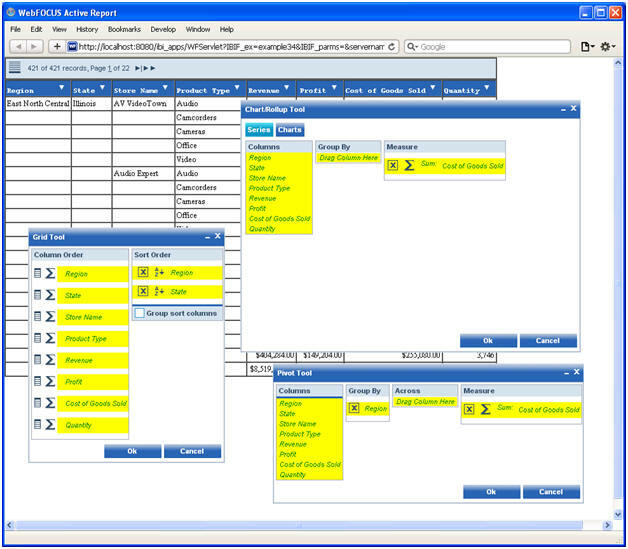 For each class, the information labeled Applies To lists the output formats to which the class applies. The APDF output format does not have its own separate style section in the irpcfg.js file. The styles that are set for the FLEX output format are reflected in the APDF output format. The Example for a class may show code for that class but no sample output. In those cases, the sample output for the subsequent class reflects the code for the previous class. For example, the sample output for .arWindowBarTitle reflects the code for .arWindowBar. In the Example for a class, the colors, font sizes, and font styles that are used are intended to highlight the element to which the style is applied and to illustrate correct syntax. They are not intended to illustrate design skill. Cascading style sheets (CSS) supports many colors, font sizes, and font styles, including hexadecimal color code values. For details on the available standard CSS properties and values, see the CSS page of the World Wide Web Consortium (http://www.w3.org/Style/CSS/Overview.en.html) and the Adobe Flex 4.5 CSS reference website (http://help.adobe.com/en_US/flex/using/index.html). Note that the Adobe documentation is based on the most recent release, for example, 4.6. 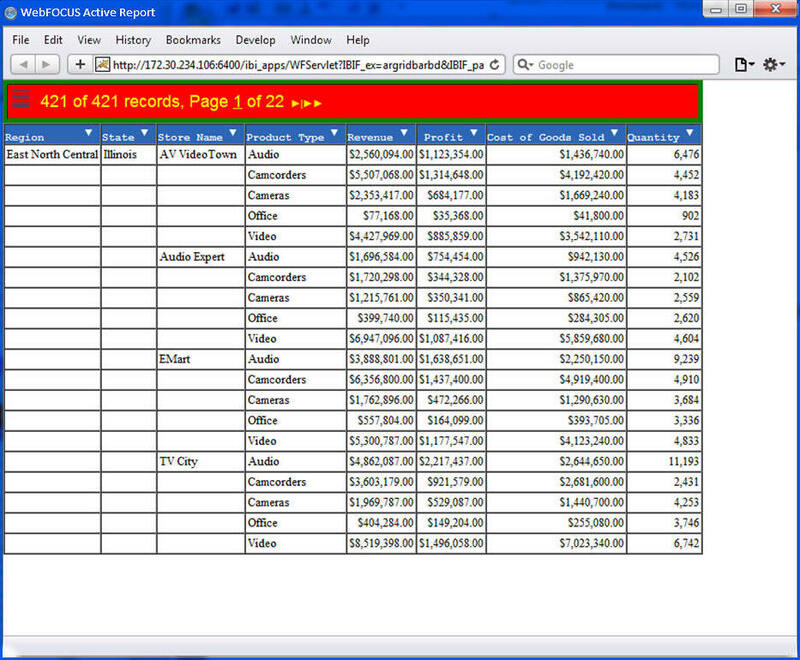 These classes style a tabular active report. 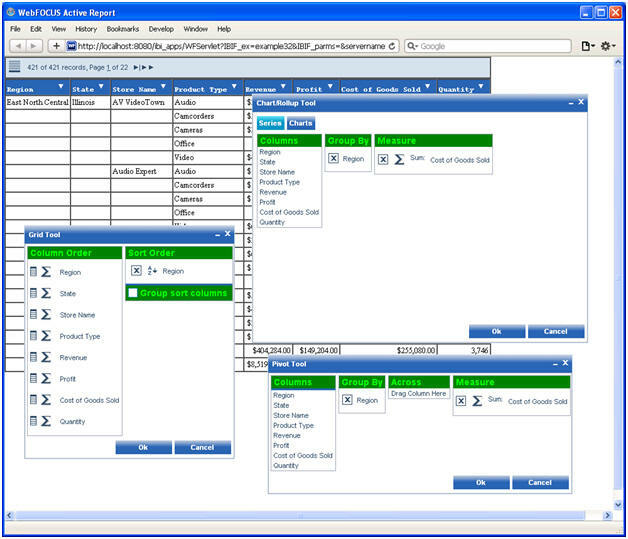 Description: Defines the overall look of a tabular active report and the Active Technologies elements of the report. This class can be overwritten by the styles directly set in the TYPE=REPORT section of a WebFOCUS StyleSheet. These classes style the message text that is displayed for an end user. 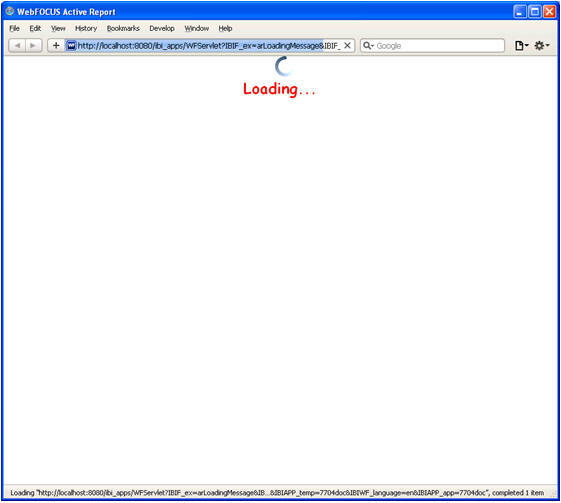 Description: Defines the font style of the Loading message text for an AHTML report or dashboard. There is no equivalent option in a WebFOCUS StyleSheet to overwrite this class. These classes style an active dashboard. 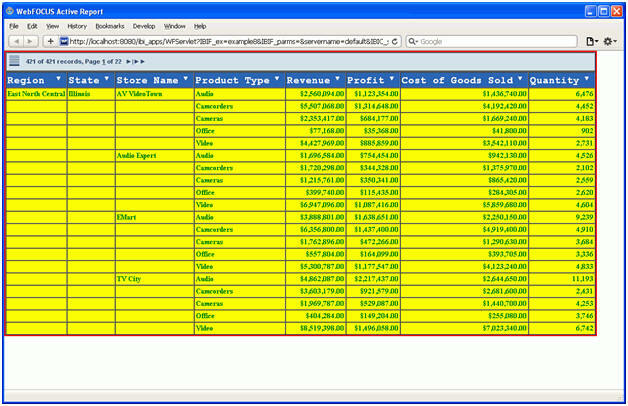 Description: Defines the border around each report and chart object in an active dashboard. 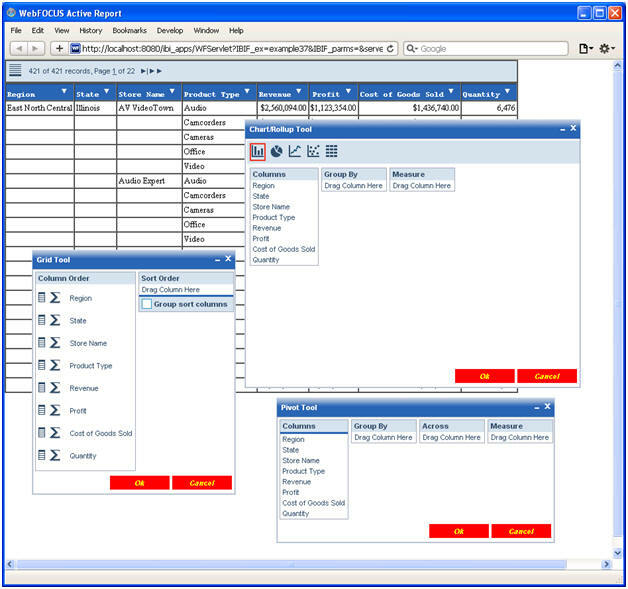 Description: Defines the style of the global filter drop-down box in the dashboard bar at the top of an active dashboard when the coordinated option is set. 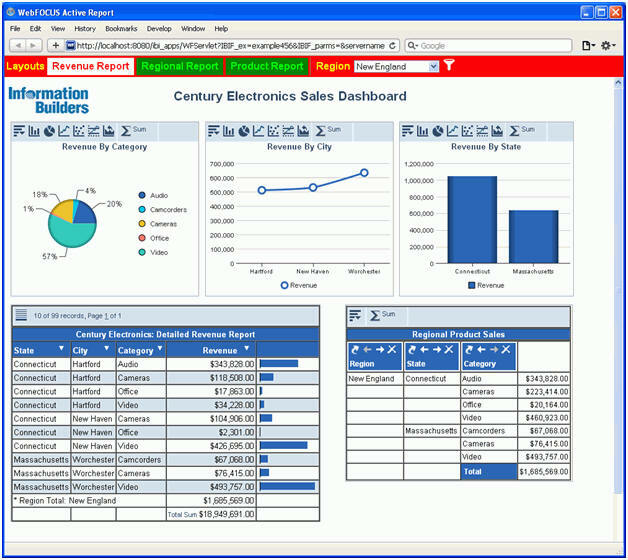 Description: Defines the overall style of the dashboard bar at the top of an active dashboard. AHTML supports gradient CSS style syntax for most browsers, except for the earlier releases of Internet Explorer®. For sample output, see .arDashboardBarButtonSelected. Description: Defines the overall style of the buttons in the dashboard bar when an active dashboard contains multiple pages for the creation of tabs. AHTML supports gradient CSS style syntax for most browsers, except for the earlier releases of Internet Explorer. 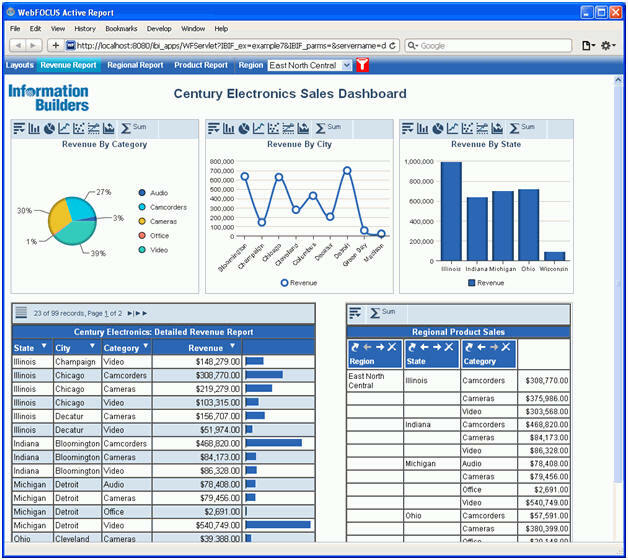 Description: Defines the overall style of the button selected in the dashboard bar when an active dashboard contains multiple pages for the creation of tabs. AHTML supports gradient CSS style syntax for most browsers, except for the earlier releases of Internet Explorer. 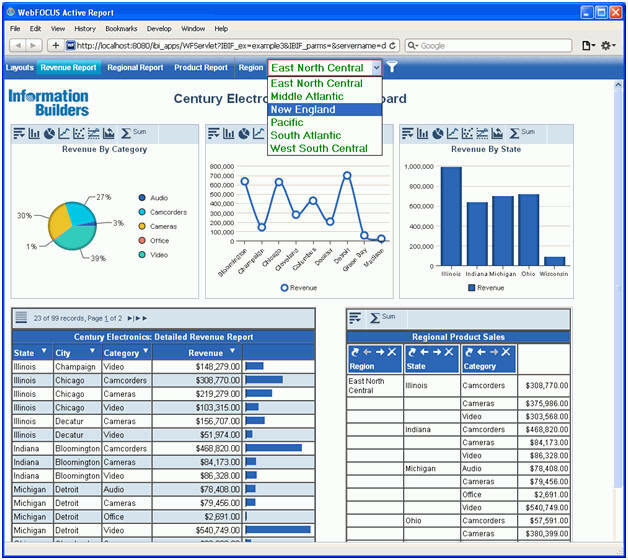 Description: Defines the background color of the global filter icon in the dashboard bar at the top of an active dashboard. 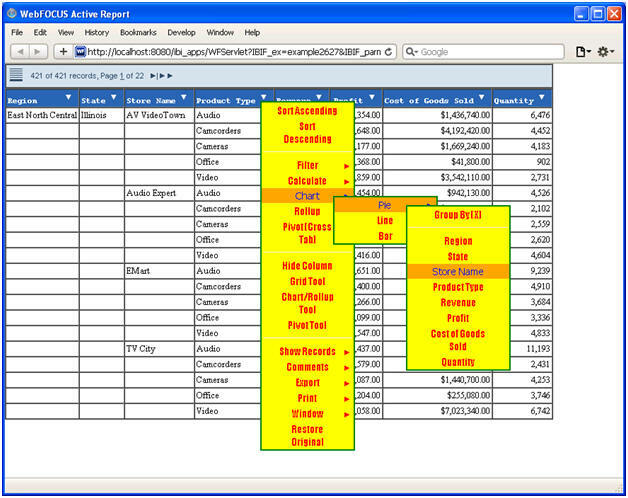 These classes style the grid elements of a tabular active report. 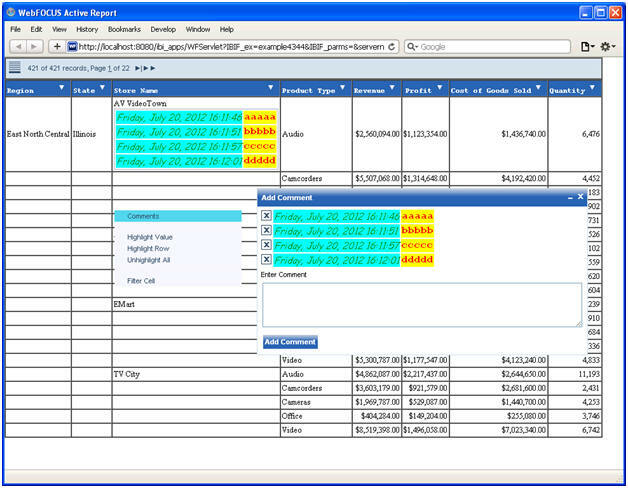 Description: Defines the overall look of the grid elements in a tabular active report. The font type and the size of the grid excluding data reflect the values set in this class. 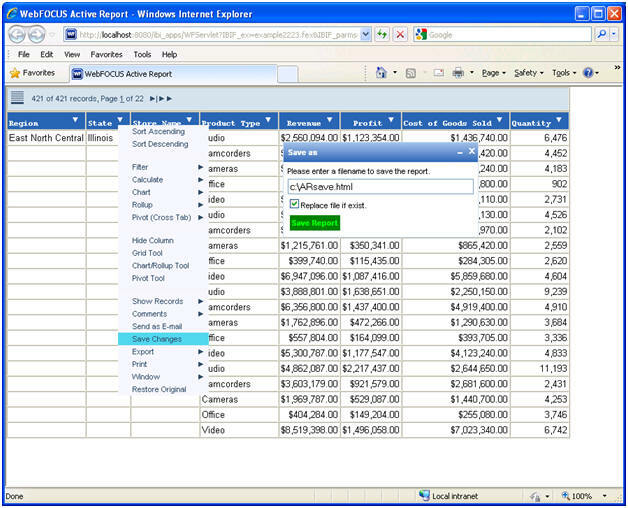 The font type and the size of the data in the grid are controlled by the WebFOCUS Reporting Server outside of Active Technologies when nothing is set in the procedure. This class can be overwritten by styles set in sections of a WebFOCUS StyleSheet, for example, TYPE=REPORT, TYPE=DATA, and TYPE=TITLE. 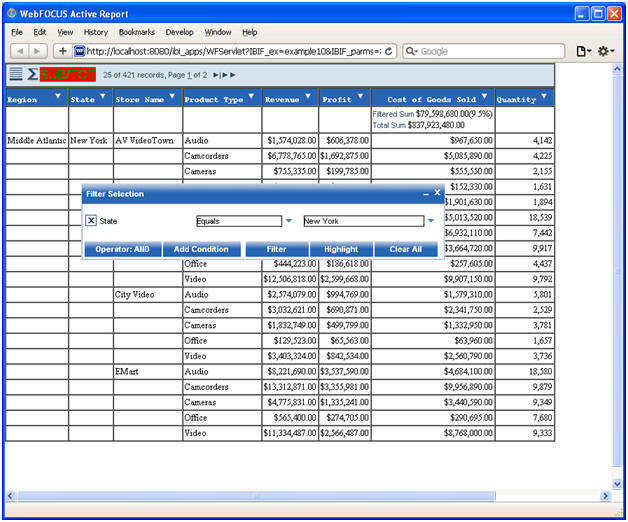 Description: Defines the overall look of the pagination bar in a tabular active report. AHTML supports gradient CSS style syntax for most browsers, except for the earlier releases of Internet Explorer. This class can be overwritten by the styles set in the TYPE=REPORT, OBJECT=STATUS-AREA, section of a WebFOCUS StyleSheet. 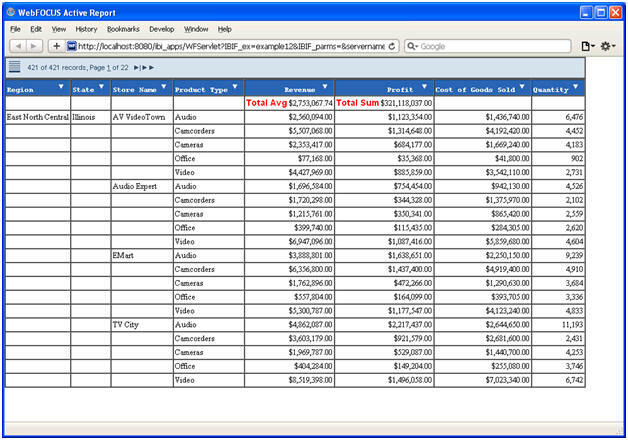 The WebFOCUS StyleSheet sets the same style for the grid pagination bar, chart tool bar, and pivot tool bar. To set a different style for each bar, you must use each style class as documented in this topic. Description: Defines the styles of the toggle button that appears in the pagination bar of a tabular active report when a column contains a calculation that is applied using Active Technologies calculation options and when the user applies a filter to the report. 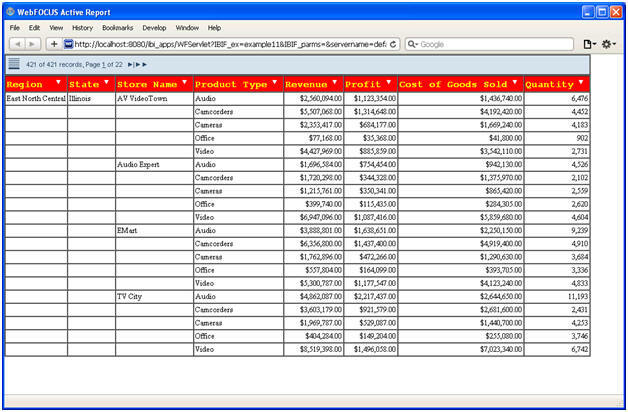 Description: Defines the styles of the column headings in a tabular active report. This class can be overwritten by the styles set in the TYPE=TITLE section of a WebFOCUS StyleSheet. 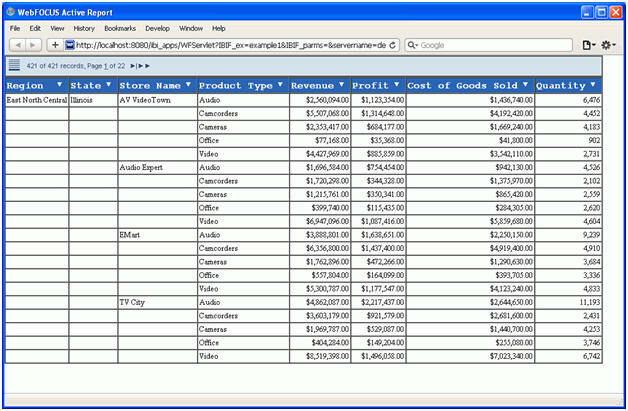 Description: Defines the styles of the label that appears in a tabular active report when a column contains a calculation that is applied using Active Technologies calculation options. 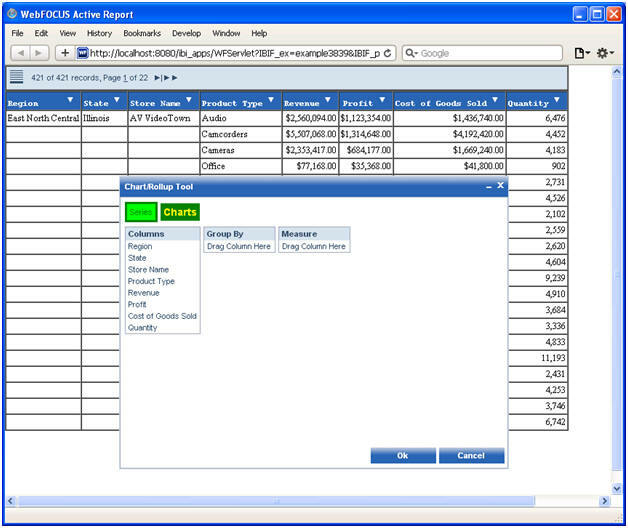 Description: Defines the background color of a row of data in a tabular active report when you pause the mouse pointer on that row. This class supports only the background-color property. This class can be overwritten by the styles set in the TYPE=REPORT, OBJECT=CURRENT-ROW, section of a WebFOCUS StyleSheet. 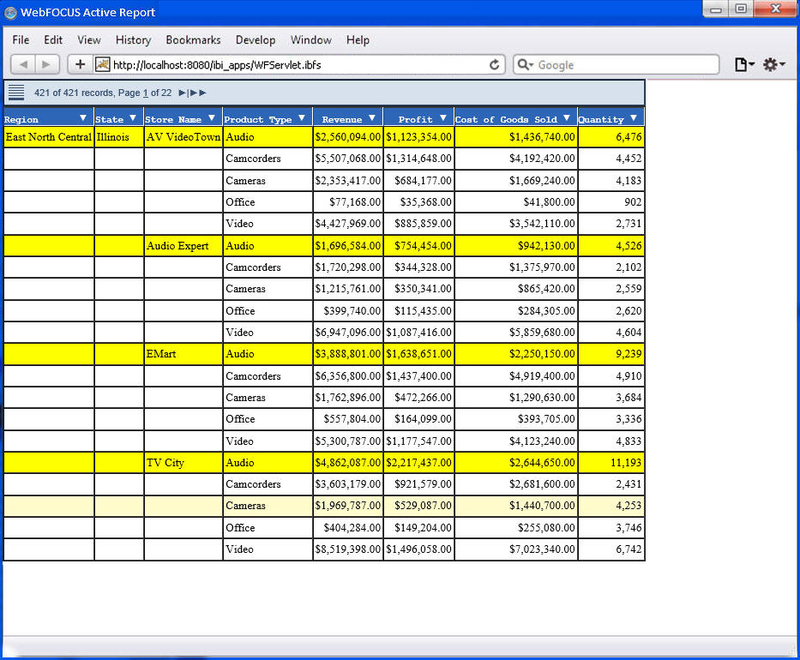 Description: Defines the background color of a row of data that is highlighted in a tabular active report. This class supports only the background-color property. These classes style an active chart. Applies To: FLEX and APDF output formats. Also applies to DEFAULT, FLEX, and FUSION chart engines (ARGRAPHENGINE = DEFAULT, FLEX, or FUSION). For ARGRAPHENGINE = JSCHART, use InfoAssist to generate the chart. Description: Defines the background style and font for an Adobe Flex chart with the FLEX or APDF output format. This class does not affect the chart style itself. 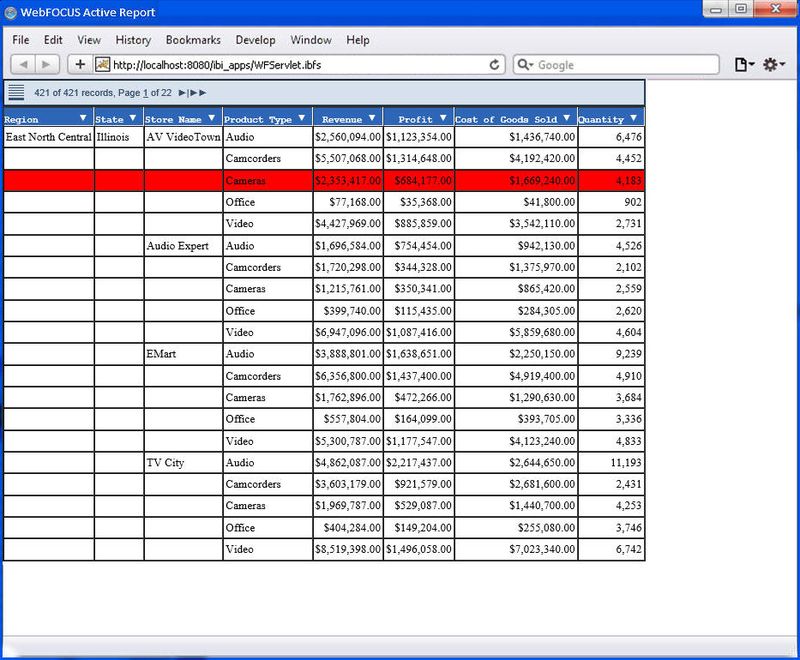 It has no effect on other chart engines, except for the default chart heading area. In this example, gcolor1 in the first line is a user-supplied name. The name in the second line must match the name in the first line. 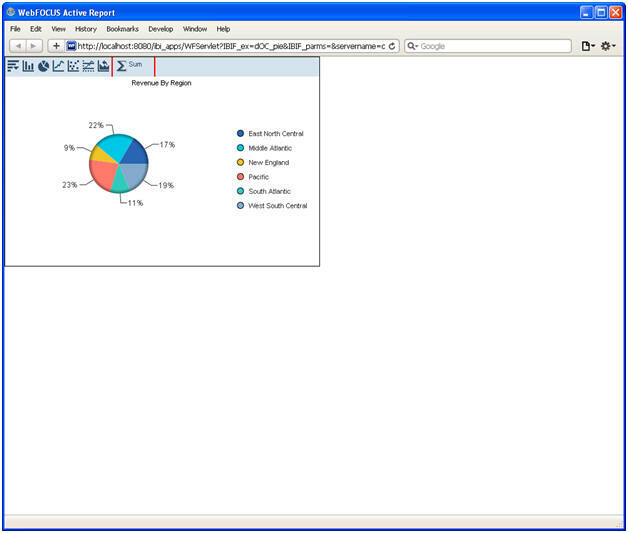 Description: Defines the overall look of the chart tool bar in an active chart. AHTML supports gradient CSS style syntax for most browsers, except for the earlier releases of Internet Explorer. 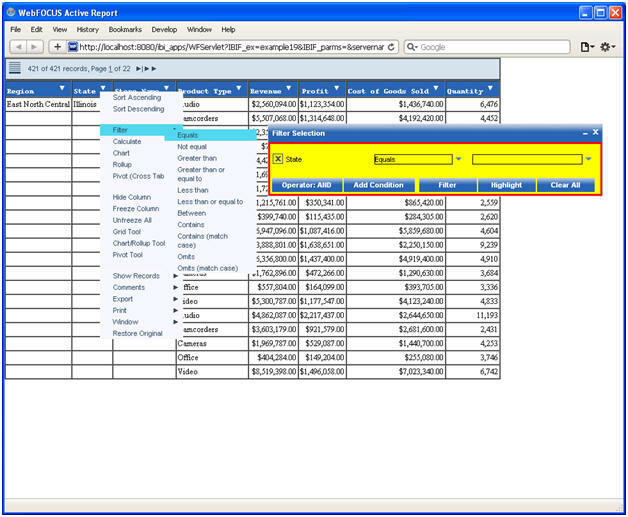 Description: Defines the divider lines in the chart tool bar. 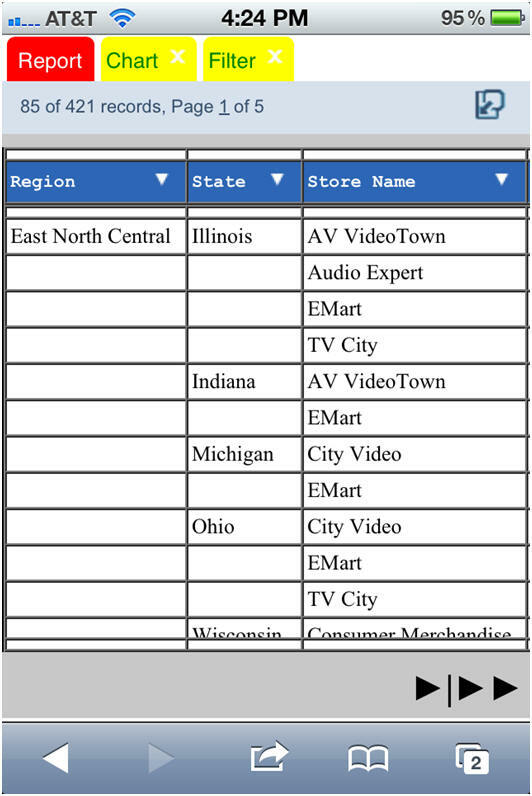 These classes style the Pivot Tool and pivot table. 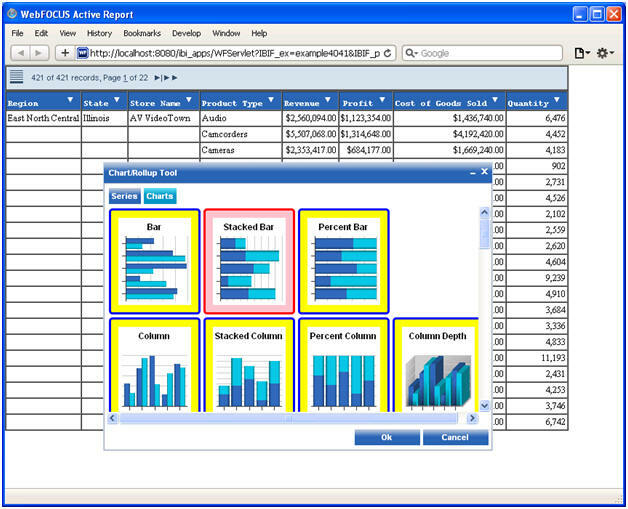 Description: Defines the overall look of the pivot tool bar in an active report. AHTML supports gradient CSS style syntax for most browsers, except for the earlier releases of Internet Explorer. Currently, there is a known issue with this feature, and the styles set in the .arChartMenuBar class may overwrite this class. Description: Defines the divider lines in the pivot tool bar. 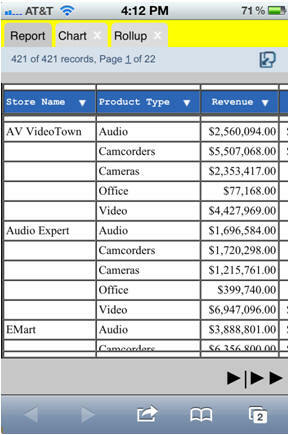 Description: Defines the styles of the column headings in a pivot table. These classes style the Filter Selection dialog box. Description: Defines the styles of the Filter Selection dialog box inside the Filter window. Description: Defines the styles of each filter condition inside the Filter Selection dialog box. 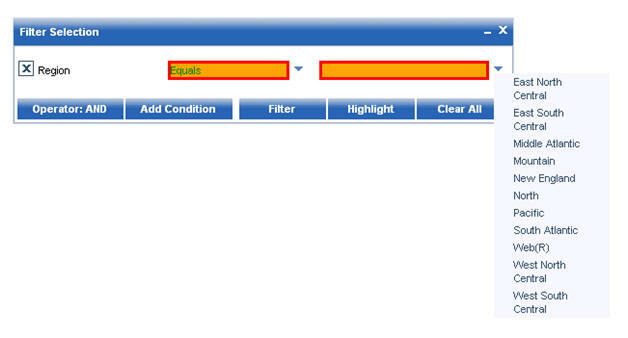 Description: Defines the styles of the drop-down box for the filter condition inside the Filter Selection dialog box. Description: Defines the overall style of the buttons in the Filter Selection dialog box. AHTML supports gradient CSS style syntax for most browsers, except for the earlier releases of Internet Explorer. These classes style the buttons in select windows that prompt for information. Description: Defines the overall style of the buttons in the window that prompts for information for the Save Changes, Send as E-mail, and Add Comment menu options. AHTML supports gradient CSS style syntax for most browsers, except for the earlier releases of Internet Explorer. These classes style select windows. Description: Defines the overall color of the window title bar for all pop-up window dialog boxes used in an active report. AHTML supports gradient CSS style syntax for most browsers, except for the earlier releases of Internet Explorer. For sample output, see .arWindowBarTitle. 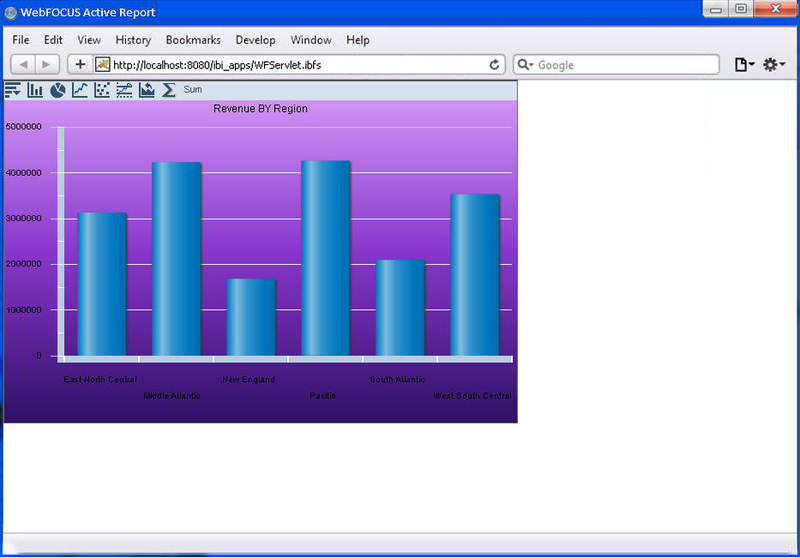 Description: Defines the overall style of the window title for all pop-up window dialog boxes used in an active report. These classes style the drop-down menu of select windows and select drop-down lists. 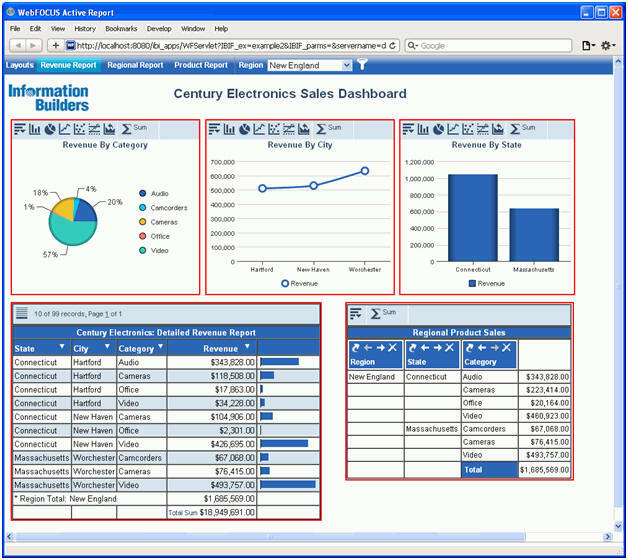 Description: Defines the overall look of the drop-down menu in the tabular active report, chart, rollup, and pivot windows. It also defines the drop-down list used in the Filter Selection dialog box. AHTML supports gradient CSS style syntax for most browsers, except for the earlier releases of Internet Explorer. This class can be overwritten by the styles set in the TYPE=REPORT, OBJECT=MENU, section of a WebFOCUS StyleSheet. For sample output, see .arMenuHover. 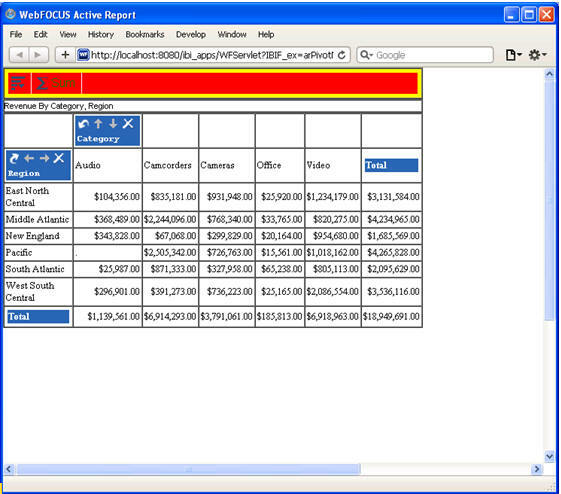 Description: Defines the hover over style of the drop-down menu in the tabular active report, chart, rollup, and pivot windows. It also defines the drop-down list used in the Filter Selection dialog box. AHTML supports gradient CSS style syntax for most browsers, except for the earlier releases of Internet Explorer. These classes style the Grid Tool, Chart/Rollup Tool, and Pivot Tool. 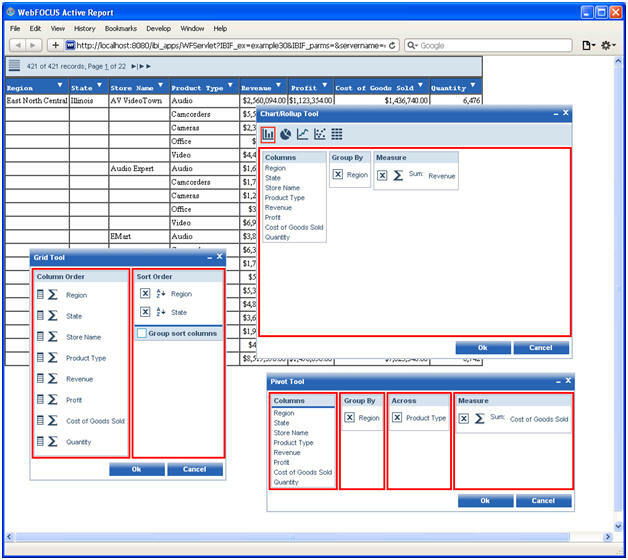 Description: Defines the styles of the Grid Tool, Chart/Rollup Tool, and Pivot Tool dialog boxes inside the window for each tool. Description: Defines the styles of the mouse over pop-up field name that is displayed when you are dragging a field name in the Grid Tool, Chart/Rollup Tool, or Pivot Tool dialog box. 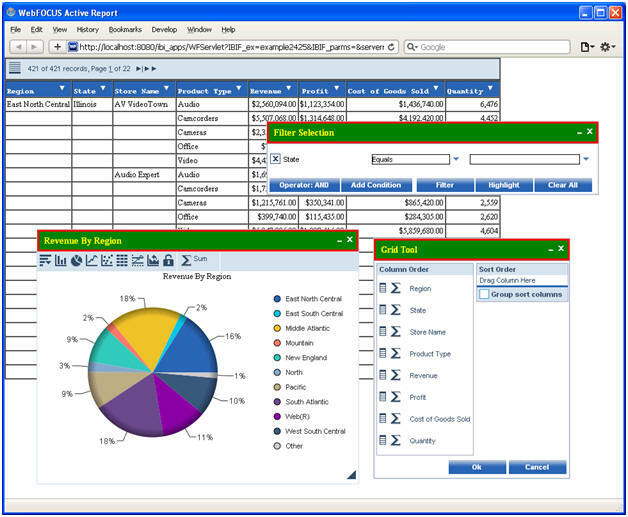 Description: Defines the border inside the Grid Tool, Chart/Rollup Tool, and Pivot Tool dialog boxes. Note that this border is different from the pop-up window border. 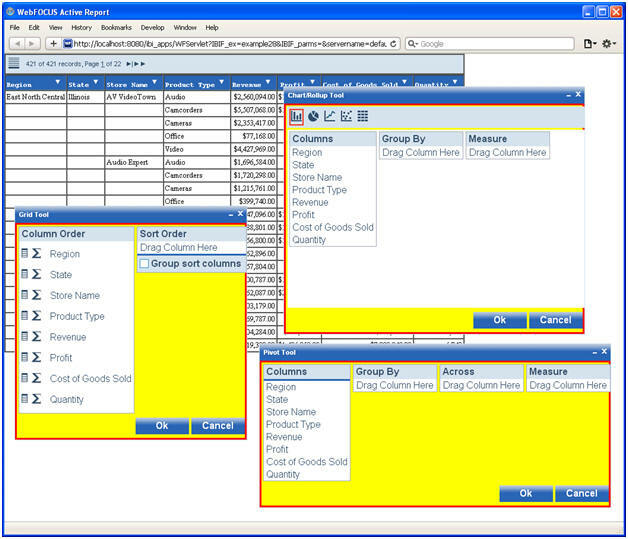 Description: Defines the styles for the column section inside the Grid Tool, Chart/Rollup Tool, and Pivot Tool dialog boxes. 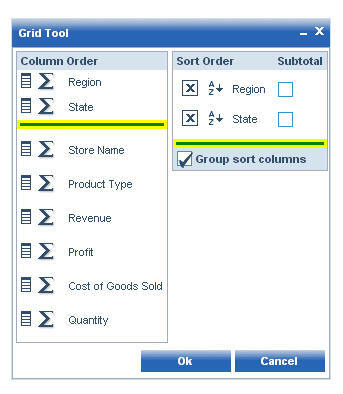 Description: Defines the styles for the column section heading inside the Grid Tool, Chart/Rollup Tool, and Pivot Tool dialog boxes. 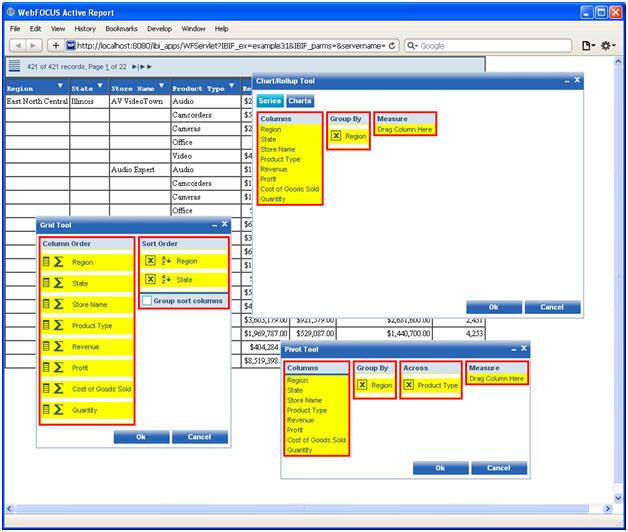 Description: Defines the background color between the field names in the column section of the Grid Tool, Chart/Rollup Tool, and Pivot Tool dialog boxes. If you set the background color for the column section using the .arToolColumn class, set the same background color using this class to remove the white spaces. 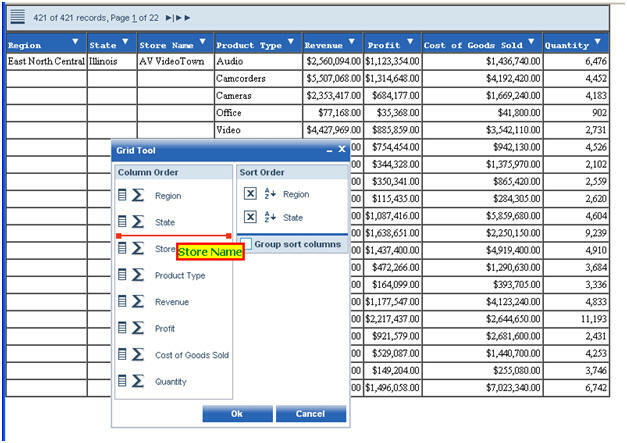 Description: Defines the styles for the field names and descriptions inside the column section of the Grid Tool, Chart/Rollup Tool, and Pivot Tool dialog boxes. 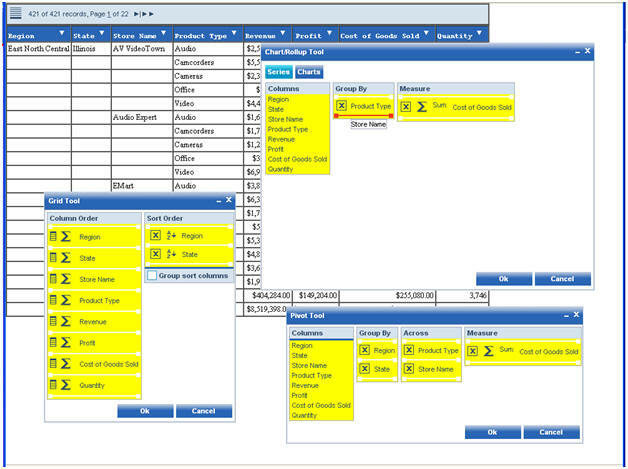 Description: Defines the style of the field name separator in the Grid Tool. 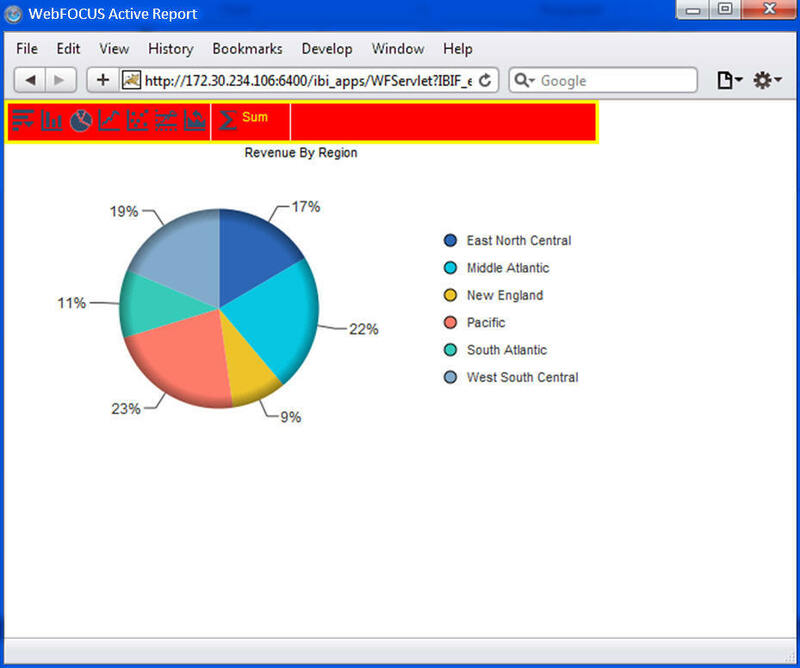 Description: Defines the look of the chart tool bar in the Chart/Rollup Tool. AHTML supports gradient CSS style syntax for most browsers, except for the earlier releases of Internet Explorer. 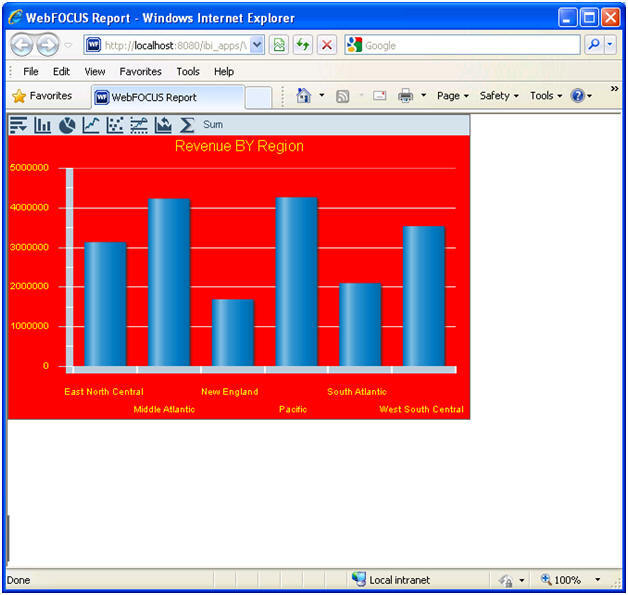 The chart tool bar in the Chart/Rollup Tool appears only when you are using a chart engine available prior to the 7.7.04 release of the WebFOCUS Reporting Server. 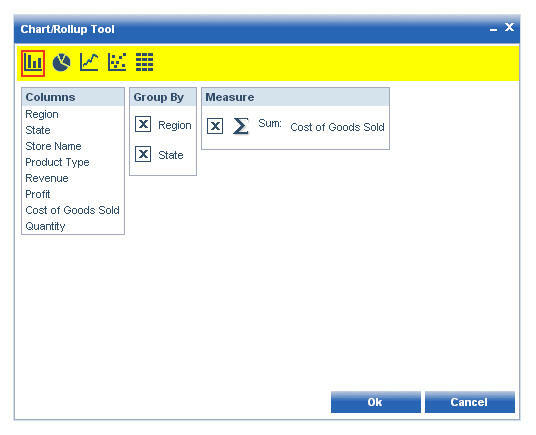 Description: Defines the overall style of the buttons in the Grid Tool, Chart/Rollup Tool, and Pivot Tool windows. AHTML supports gradient CSS style syntax for most browsers, except for the earlier releases of Internet Explorer. 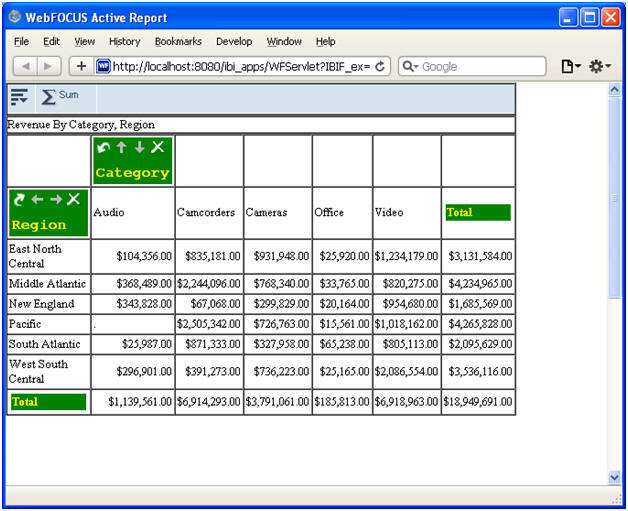 Description: Defines the overall style of the tab in the Chart/Rollup Tool when you are using the HTML5 chart engine in the 7.7.04 or higher release of the WebFOCUS Reporting Server. AHTML supports gradient CSS style syntax for most browsers, except for the earlier releases of Internet Explorer. For sample output, see .arToolTabSelected. 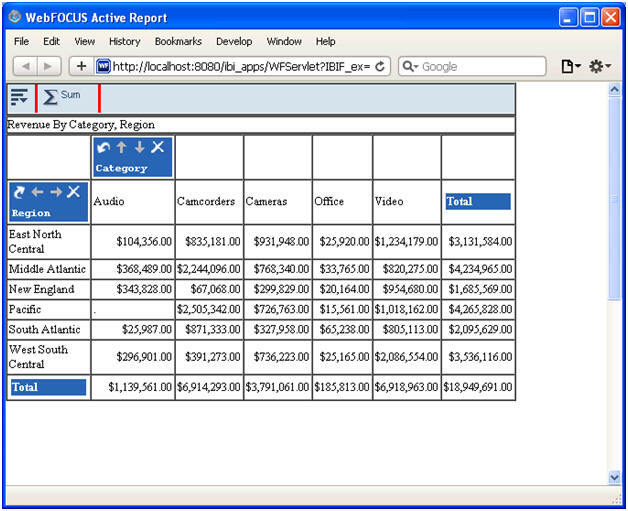 Description: Defines the overall style of the tab selected in the Chart/Rollup Tool when you are using the HTML5 chart engine in the 7.7.04 or higher release of the WebFOCUS Reporting Server. AHTML supports gradient CSS style syntax for most browsers, except for the earlier releases of Internet Explorer. Description: Defines the overall display of the chart image in the Charts tab of the Chart/Rollup Tool when you are using the HTML5 chart engine in the 7.7.04 or higher release of the WebFOCUS Reporting Server. You cannot change the chart label font. For sample output, see .arToolChartIconSelected. Description: Defines the overall display of the chart image selected in the Charts tab of the Chart/Rollup Tool when you are using the HTML5 chart engine in the 7.7.04 or higher release of the WebFOCUS Reporting Server. You cannot change the chart label font. 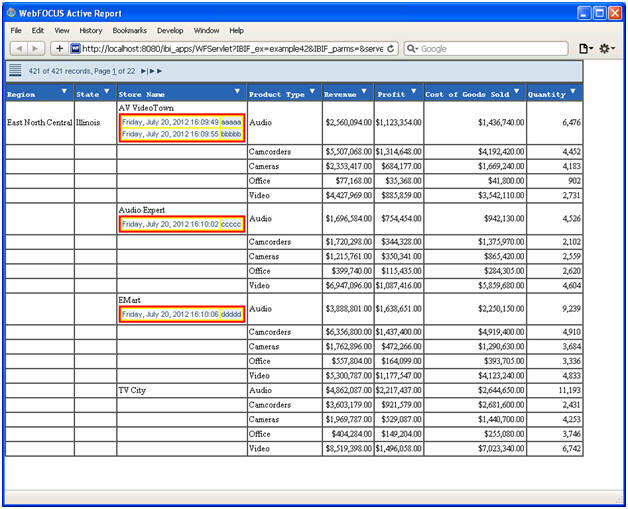 Description: Defines the border around the comments when comments are entered and displayed in a tabular active report. Description: Defines the font style used to display comments in the Add Comment dialog box and when comments are entered and displayed in a tabular active report. For sample output, see .arCommentDate. Description: Defines the font style used in the date and time display of the comments in the Add Comment dialog box and when comments are entered and displayed in a tabular active report. 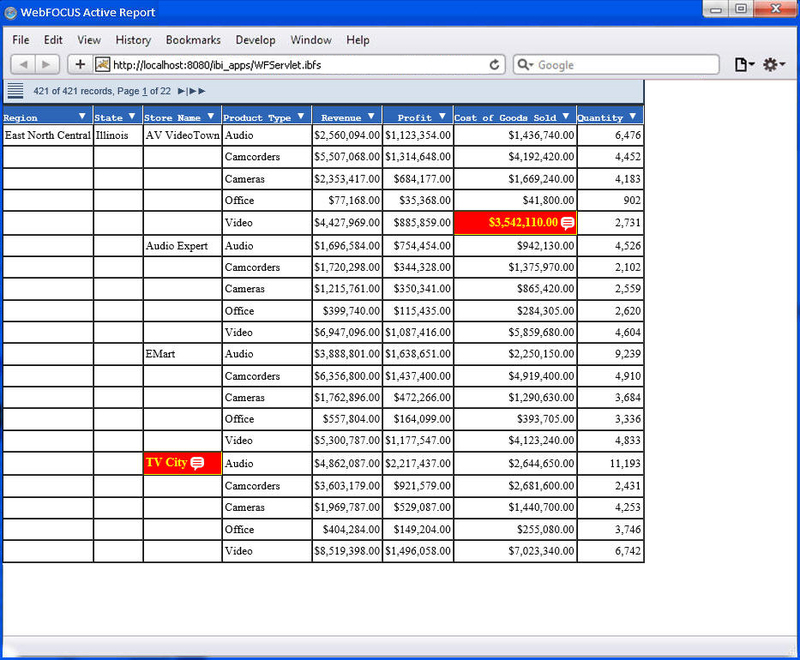 Description: Defines the styles of a cell with comments in a tabular active report. If the .arGridComment class is missing in the style section of the irpcfg.js (or irpcfgu.js) file, the comment indicator defaults to the original asterisk (*) with no color change to indicate the comment. These classes are currently unused. These classes style menu items in Active Technologies for mobile web apps. Description: Defines the font style and position used for the menu in Active Technologies for mobile web apps. For sample output, see .amButton. 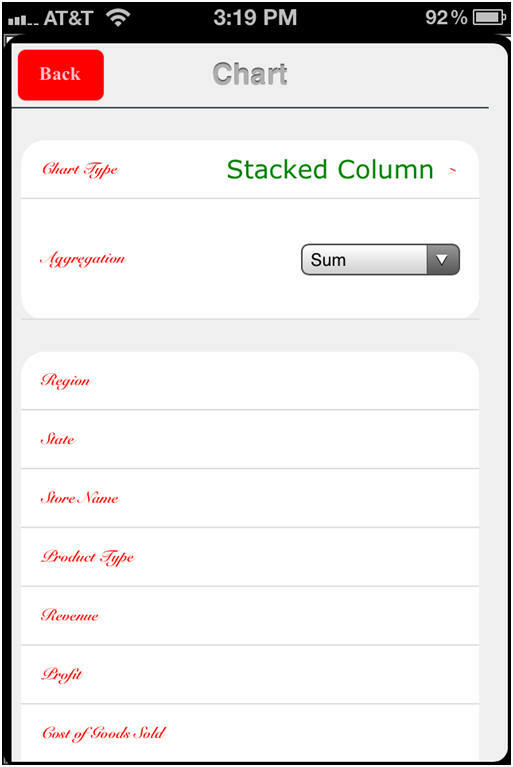 Description: Defines the font style and position used for the values displayed on the right of the menu in Active Technologies for mobile web apps. These classes style the buttons used in the menu in Active Technologies for mobile web apps. Description: Defines the style and position of the buttons used in the menu in Active Technologies for mobile web apps. These classes style the tabs in Active Technologies for mobile web apps. Description: Defines the overall style of the tab selected in Active Technologies for mobile web apps. AHTML supports gradient CSS style syntax for most browsers, except for the earlier releases of Internet Explorer. For sample output, see .arMobileTab. Description: Defines the overall style of the tabs used to display multiple objects in Active Technologies for mobile web apps. AHTML supports gradient CSS style syntax for most browsers, except for the earlier releases of Internet Explorer. Description: Defines the background color of the tab area in Active Technologies for mobile web apps. The default background color is white. AHTML supports gradient CSS style syntax for most browsers, except for the earlier releases of Internet Explorer.